The Quicksilver Running Club of San Jose California, also known as QRC, was established to promote physical well-being and friendships through running. Additionally, it has a purpose that reaches beyond the club, into our community, to promote Healthy Kids through trail running, and Trail Advocacy by expanding the accessibility of trails. Weekly Sunday runs: typically starting at 8am from the Mockingbird Quicksilver park entrance but check our Quicksilver Running Club Facebook page for details. The QSER Runner's Guide is now officially available! Click HERE or browse through the site menus. Or, if you prefer to get the whole Runner's Guide in one big PDF, click HERE. The registration price increases after February 28th. While the 100K is sold out, there is still room in the 50K. This is a well-supported race for those looking to do their first ultra and challenging enough for even seasoned veterans! Join us in May. May 11, 2019 - Run or volunteer! We are happy to provide you the best experience for your trail running and post event celebration pleasure. Please read to familiarize yourself with everything as you prepare for your event. Want to join the most fun trail running club in San Jose? 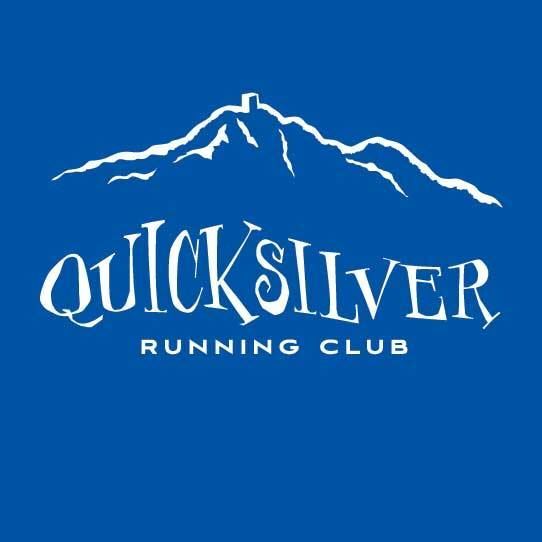 Click below to join the Quicksilver Running Club!